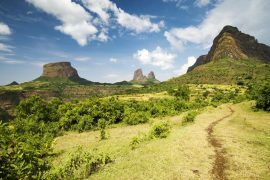 Arrive Addis Abeba and transfer to your hotel. Take a short rest and head for a City tour, visit Mount Entot, ethnographic museum, National museum, Markato and so on. O/n hotel. 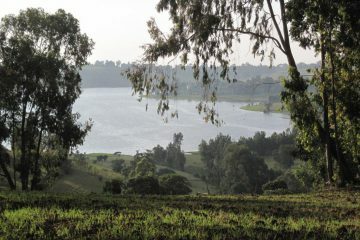 Take an early breakfast and drive to Mizan Teferi through green and lush natural vegitation. On the way visit wushwush state Tea plantation. o/n hotel. Drive to Tum via Gumero Tea plantation and the village of Surma people. O/n camping. After breakfast, do more walking in the village of the Surma people then head to Kibish, another settlement for the Surma people. O/n camping. 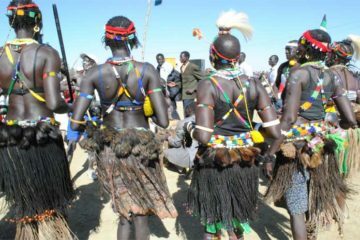 Full day in kibish with a visit of Surma people and their villages, and if available, attend on their stick fighting ceremony known as Dueling. O/n camping. After breakfast drive to Mizan Tefferi for an over night using the same road we have used the other days. O/n hotel. Today direct drive to Jimma with a stop in the town of Bonga for lunch. Then after check in to your hotel, proceed to visit Jimma museum and walk around the largest market in the town. O/n hotel. Early morning, enjoy your breakfast and head to the palace of king Aba Jiffar located just on the northern outskirt of the town, then proceed to Addis Abeba with a stop at Negash lodge, in Wolliso for lunch. Dinner and then get transfer to the airport for your departure home. End of our service.